A must if you own a pug, you love pugs or one glance at a pug makes you laugh out loud. Will this greedy critter ever learn to share? 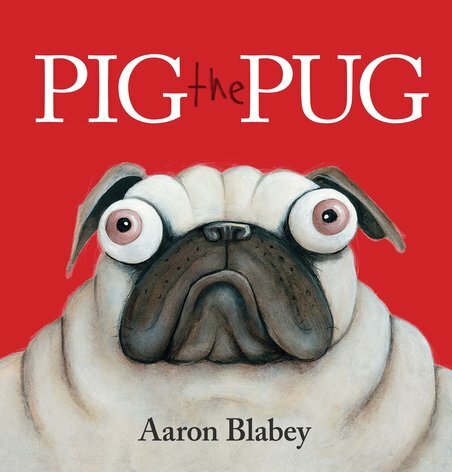 Pig the Pug is grumpy, rude and allergic to sharing. He looks like an evil tyrant. That’s because he is one. His only buddy, Trevor the sausage dog, is used to Pig gobbling up his dinner and hogging all their toys. Will Pig the Pug ever learn to share? Only after something very funny happens to him… Rhymes and brilliant pictures from a massive talent who also (oh the envy!) used to be a movie actor. Meet the world’s only pug who is also a pig. Well – used to be, anyway.